The September numbers, which reflect ongoing receipts paid by taxpayers into the state Department of Revenue and other State agencies that take in general funds, follow up on similar numbers reported in July 2015 and August 2015. CGFA’s three-month summary spreadsheet, also published in their September report, shows an accumulated cash flow shortfall of $1,137 million for the quarter-long period. It is expected, furthermore, that a comparable shortfall will be posted during the fourth and final quarter of calendar year 2015. Despite the ongoing fiscal shortfall, the Democrat majority in the Illinois General Assembly continues to insist that the State must operate a public sector that is almost exactly as large, and spends almost as much money from day to day, as it did in fiscal year 2015 before the changes in tax rates took effect. Court decisions, continuing appropriations and consent decrees have kept the money flowing for a wide variety of budget line items. The constitutional requirement that Illinois enact and implement a balanced budget has been ignored. Budget impasse begins to affect funding for 9-1-1 centers. On Monday, October 5, St. Clair County announced that it had commenced litigation against the State of Illinois. At issue is money from a tax that Illinois extracts from the cellphone bills paid by millions of Illinoisans. The Emergency Telephone tax is meant to support the 24/7 operation of 9-1-1 centers across Illinois, but money collected by this tax is not being distributed by the State to local 9-1-1 boards this fall because the money for the distribution has not been appropriated by agreement between the General Assembly and the Governor. For St. Clair County, this lack of a budget means that $125,000 a month in essential operational funding is not being received. The county includes Belleville, East St. Louis, and other diverse and working-class communities in southwestern Illinois. Former CPS CEO indicted, is expected to plead guilty. Barbara Byrd-Bennett, Mayor Emanuel’s choice as CEO of Chicago Public Schools from October 2012 until going on leave of absence in April 2015, resigned under pressure in June of this year. At issue were no-bid contracts awarded by the Byrd-Bennett management team to SUPES Academy and Synesi, two firms with existing ties to the school system CEO, in return for alleged work in Chicago Public Schools’ executive retraining and professional development. The former schools chief has now been indicted on federal charges of mail fraud and wire fraud in relation to these contracts. These charges include alleged payments by the firms of “gifts” to Byrd-Bennett and promises of future payments to her after she left office. On Thursday, October 8, federal prosecutors held a news conference in which they announced the indictment and reported that the former schools CEO is currently cooperating with prosecutors. Her cooperation is expected to include a guilty plea. The U.S. attorney’s prosecution work will continue, now with SUPES Academy, Synesi, and other persons of interest as targets. Byrd-Bennett’s resignation and indictment are not directly related to the $1.1 billion deficit facing Chicago Public Schools, but are seen by many observers as worsening the overall cloud of suspicion that surrounds the troubled school system. U.S. Steel warns workers of possible Granite City shutdown. The Granite City Works specializes in the tubular steel used to drill for North American oil and gas. A downturn in the international prices of fossil fuels is reducing drilling activities and is one of the factors endangering the mill’s 2,000 jobs. The mill also makes steel products for other industry sectors and products, including construction, containers, and motor vehicles. The mill complex, located in an industrial region of urban southwestern Illinois, contains two blast furnaces with a capacity to produce up to 2.8 million tons of steel per year, representing almost 13 percent of U.S. Steel’s overall production capabilities. The mill complex also contains numerous conveyor-belt lines used to “finish” blast-furnace steel for various specific end-uses. The steelmaker blamed a tide of imported steel products for the threatened closure. The American Iron and Steel Institute, the voice of the American steel industry, reports that the U.S. market share of imported steel has grown to 31 percent this year. The worker notification was made public on Tuesday, October 6. Many other jobs in the Metro-East region are indirectly dependent upon continued operations at the Granite City Works. Deputy Republican Leader to retire from Peoria-based legislative seat. David Leitch has represented parts of the greater Peoria area in the Illinois House since January 1989, making him the dean of the House Republican Caucus. A leader in Illinois laws relating to health care, higher education, job creation/retention and financial management, he has also served as a financial vice president of PNC Bank and as a member of the Illinois Senate. 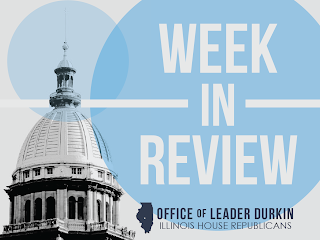 He currently represents the 73rd District, which includes parts of Peoria, urbanized subdivisions and suburbs north of Peoria, and rural areas along the upper Illinois River. Rep. Leitch announced on Thursday, October 8 that he will not run for re-election and that it is his intention to step down from public office at the end of the 99th General Assembly in January 2017. Representative Leitch is the lead sponsor of significant pioneering laws on the statute books of Illinois. 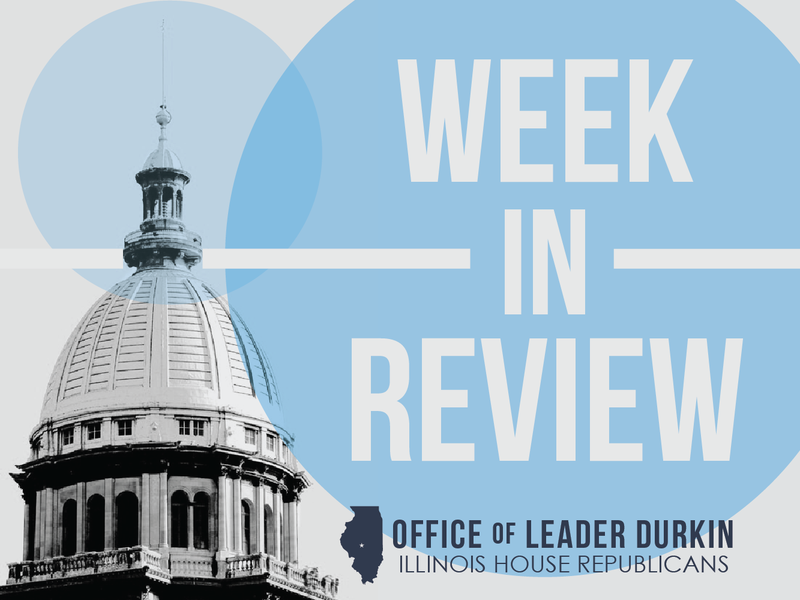 A cancer survivor, Leitch passed the first law in Illinois to mandate insurance coverage for mammograms and the first bill in the United States to secure umbilical cord blood stem cell collections. He was the legislative foundation and guardian of what is now a major teaching-hospital complex in north central Illinois, centering on the University of Illinois College of Medicine at Peoria. Land transfer and capital development bills he sponsored led to the creation and expansion of campuses within the Illinois Central College community college system. Maywood Park closure reduces number of operating Illinois racetracks to 4. The final day of harness racing at the historic racetrack was Friday, October 2. Operations are highly endangered at the one remaining Illinois harness track, south suburban Balmoral. Three Illinois tracks – Arlington Park, Hawthorne and Fairmount Park – offer thoroughbred racing during seasonal race meetings. Racetrack jobs, which are lost when a track closes, include not only track employees but also jobs supported by horse owners, such as horse trainers, veterinarians, stable assistants, and jockeys/sulky drivers. Out at the horse farms, track closures mean lower demand for animal professionals, feed, hay, and other essential equine supplies. The racing animals are moved to other states where racetracks survive and do business. Downstate Illinois is affected when a Chicago-area track closes. Standardbred (harness) racehorses pull racing sulkies around tracks for spectator excitement, “purse” prizes paid to owners, and gambling. Taxes from the gambling “handle” help to support the prizes paid to horse owners, and a multi-year decline in live horse racing – particularly harness racing – is blamed for declining purses and a diminished ability of racetracks to enjoy the cash flow needed to maintain operations. Advocates have repeatedly asked for legal permission to carry out non-horse betting at or adjacent to racetracks. The proposal, called “slots at tracks,” has been utilized successfully in other states such as New York, Ohio, and Pennsylvania. A proposal of this type was vetoed by former Gov. Pat Quinn in 2012, dashing the hope of participants in the harness racing industry and playing a role in the permanent closure of Maywood Park this week. First Illinois cultivation centers begin to grow medical marijuana. A reporter was allowed this week into the closely guarded, warehouse-like Ataraxia cultivation center built adjacent to Albion in southeastern Illinois. Ataraxia’s all-interior cultivation rooms are starting to grow cannabis buds from plant varieties that were chosen by Ataraxia owners for sale in licensed Illinois dispensaries. Dispensary sales could start as soon as late October or early November. The benefits of the Illinois medical cannabis program, which is administered by the Illinois Department of Public Health, will be accessible only to persons who have been diagnosed with any one of 39 specified medical conditions and diseases. Eligibility conditions include amyotrophic lateral sclerosis (ALS), cancer, multiple sclerosis, and neurological seizures. The patient must apply for a medical cannabis card with the permission of his or her longtime medical care provider. Approximately 3,100 patients from across Illinois have been approved for the cards, and additional applications are being considered for approval. The application process can be started here: https://medicalcannabispatients.illinois.gov/. Medical marijuana remains on pilot-program status in Illinois. The General Assembly is required, after the drug begins to actually be sold and used by patients, to look at how the program is being implemented and whether to make it permanent. The pilot-program cultivation and sale of medical cannabis was legalized by the General Assembly in 2013. The pilot program will automatically be repealed on January 1, 2018, unless its life is extended by law. New health conditions may be added to medical marijuana eligibility list. Under current law, a patient is only eligible for a medical cannabis card if he or she has been diagnosed with any one of 39 specified medical conditions. Many patients who do not have any of these diagnoses, but who have chronic and intractable symptoms arising from other health conditions, have asked the Medical Cannabis Advisory Board to consider expanding the list of 39 medical conditions. In a panel vote on Wednesday, October 7, the Advisory Board recommended that eight additional conditions, including autism, osteoarthritis, and post-traumatic stress disorder (PTSD), be added to the list. The Advisory Board’s recommendation does not constitute final action; the vote will be forwarded to the Director of the Department of Public Health and the administration of Gov. Bruce Rauner. The Advisory Board’s recommendation follows a previous decision by the Rauner administration to hold off on expanding the medical marijuana diagnosis eligibility list for now. In the previous round of denials, Gov. Rauner explained that he was reluctant to take precipitate action in the lack of operating evidence of the ability of the Illinois medical marijuana system to dispense small quantities of cannabis in a controlled, regulated manner under conditions of tight security. The Advisory Board believes that the imminent time frame of actual medical marijuana dispensary sales in Illinois – which could start up as soon as late October or early November of this year – will provide the Rauner administration with the data and experience necessary to revisit this decision. Chicago cab drivers try to organize one-day job action. The Thursday, October 8 job action was described as a cabdrivers’ protest against a recent announcement and policy change by the Mayor Emanuel administration with respect to ridesharing cars, many of them operated by app operators Uber and Lyft. Under current city law, ridesharing cars are legally banned from picking up or dropping customers at Chicago’s Midway and O’Hare Airports, and at the McCormick Place convention Center. Mayor Emanuel, however, as part of his 2016 city budget proposal, is calling for granting ridesharing access to these three locations. In return for this access, ridesharing drivers would have to pay additional fees to the city. The Emanuel proposal would also allow cabdrivers to increase their fares by 15 percent. Many cabdrivers believe that the proceeds of the fare hike would not be sufficient to make up for lost revenues from the city’s airports and convention center. Cab drivers must pay individual taxicab licenses, called ‘medallions,” and other operating expenses that are not fully borne by ridesharing drivers and their organizers. First full week of bowhunting season. The widely anticipated hunting season began on October 1 and will end on January 17, 2016. Deer bowhunters reduce overpopulations of the browsing animals, which are widely blamed for Illinois road safety issues. Bowhunting, like other forms of hunting that require a license, is overseen by the Illinois Department of Natural Resources. Bowhunting operations are plentiful throughout Illinois, with west-central Illinois known nationwide for archery trophy experiences. Fall harvest in full swing. The Illinois Department of Agriculture reported this week that the process of gathering in corn and soybeans from Illinois farm fields has passed the 50 percent mark. More than half of the corn and beans harvested so far this year has been found to be in good or excellent condition when cut and stored, reflecting relatively dry, harvest-friendly weather conditions that have inhibited dampened grains and potential mold growth. Illinois is expected to be the nation’s No. 1 state producer of beans this year, and our corn crop should come in as No. 2 behind Iowa.